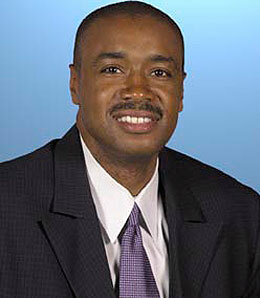 Rod Higgins faces a critical summer as the new general manager of the Bobcats. The Charlotte Bobcats are about to announce the hiring of Rod Higgins as their new general manager, a move that will give the fourth-year organization a plethora of decision makers as it seeks to make the improvements necessary to become a playoff team. Managing partner Michael Jordan keeps bringing in his boys. First there was the hiring of ex-teammate Sam Vincent as the new head coach, replacing Bernie Bickerstaff, who has stayed on as executive VP to be MJ’s right hand man. Vincent, an assistant with the Mavs, said he ‘absolutely’ expects this team to make the playoffs next year. I’m not quite as sure. Much will hinge on this very important offseason in which several key decisions are facing the club. That’s where Higgins comes in. Another former Jordan teammate, Higgins has been the GM responsible for building the Warriors into a playoff team, and now he’s going to try to work his magic in what ‘ on paper, anyways ‘ is an easier situation in the Eastern Conference with the ‘Cats. This is a team that’s gone from 18 wins to 26 in 2005-06 to 33 last season, when it finished seven games out of the eighth spot. That pattern would give them 39 wins next year, a total that would put Charlotte right into the playoff mix. Of course, much can happen between now and then. In a very deep draft year, Charlotte has picks number eight and 22 in the first round. Could a team looking to fill two holes be tempted to trade down and allow Charlotte to nab a better pick? The ‘Cats would love to get help in the middle by drafting Brandan Wright, Yi Jialian or Al Horford, but none of those dudes will be left on the board by the time pick eight rolls around. On the health front, full seasons by Emeka Okafor and Sean May could do more for the team than almost any acquisition they make this summer. Okafor has missed over 26 games per season on average since Charlotte drafted him three years ago. May has been dogged by injuries even worse, playing just 58 total games in two seasons. Hopefully he addresses his weight issues this summer, because if May can play 60 or more games alongside Okafor, this team’s frontcourt will finally have some teeth. The most vital decision facing the team this offseason is re-signing Gerald Wallace. He stayed moderately healthy last year, and his combination of scoring, rebounding, steals and blocks is going to make him an extremely attractive target around the NBA. Crash wants to stay in Charlotte and the ‘Cats have to make it happen. Could Charlotte try to land a big fish in the free agent pool like Vince Carter or Rashard Lewis? MJ says the team will spend money, and they have cap space, but this is one they need to be careful with. Penning Carter to a long-term deal would help put the team on the map and certainly earn it plenty of TV dates, but could also become a crippling albatross for years to come. I sure hope all those decision makers at the top of this organization think long and hard before biting on that lure. Primoz Brezec has decided not to opt out of his deal, an easy call considering how crap he was last year as his PT plummeted and injuries derailed his effectiveness. Even a partial rebound by Brezec would also provide a big boost to the frontcourt. He as actually pretty useful as the team’s starting centre in its first two seasons before last year’s debacle. Free agent Matt Carroll has emerged as a strong secondary scorer and tremendous perimeter threat. He’s another player the team should think about re-signing. Unless Adam Morrison’s shots start dropping with more regularity, Carroll is going to be needed. Three in the Key: Are Hawks Ready to Soar in Second Half? Three in the Key: Can Pierce Lead Celtics Back to the Promised Land?